Dance Lessons –Thursdays- Starting at 7:00 P.M. Very robust and bustling evening at the Grove. Crazy good fun that gets everyone moving with a new level of fun, stylish moves, and great dances. 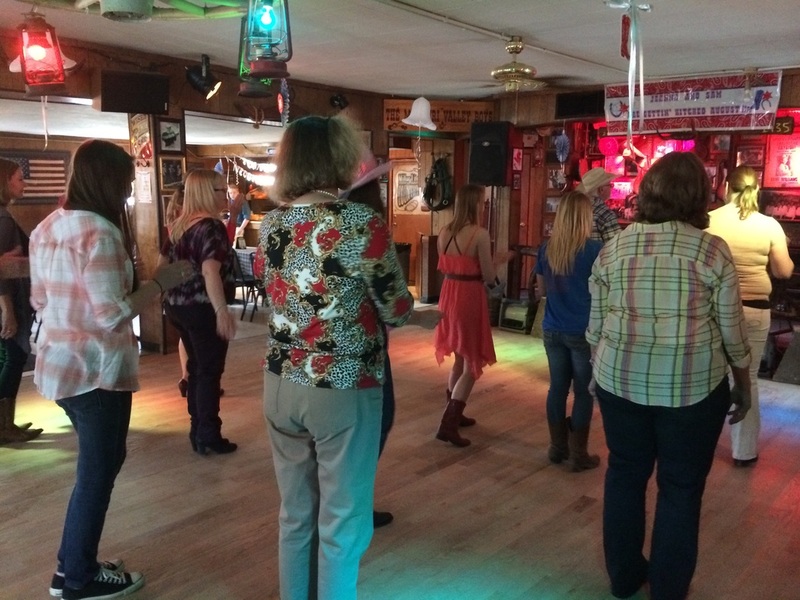 Learn the latest country western dances, meet nice people, and get fit. From classic country western line dances -the boot scoot boogie, Diamond reggae, Black Velvet, Trouble, Tush Push, Electric Slide, Slap Leather, Cruisin, to country western couples dances- Stationery Cha Cha, San Antonio Stroll, Ridin’ Double, L.A Two Step, Cotton Mouth, you can learn them all. Beginner to Advanced with or without partners. Time to get slapping, and scootin. $3.00 per person.